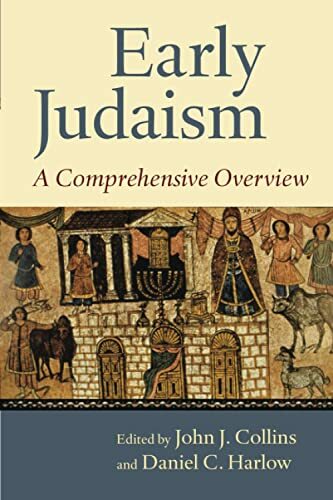 Culled from The Eerdmans Dictionary of Early Judaism, a monumental, groundbreaking reference work published in late 2010,Early Judaism: A Comprehensive Overview contains fifteen first-rate essays from a diverse group of internationally renowned scholars. This volume provides the most comprehensive and authoritative overview available of Judaism in the Hellenistic and early Roman periods. John J Collins is Holmes Professor of Old Testament Criticism and Interpretation at Yale Divinity School and has served as President of both the Society of Biblical Literature and the Catholic Biblical Association. His many books include Beyond the Qumran Community, King and Messiah as Son of God and The Apocalyptic Imagination. Daniel C Harlow is Professor of Biblical, early Jewish and early Christian studies at Calvin College, Grand Rapids, Michigan. Among his published works is The Eerdmans Dictionary of Early Judaism.